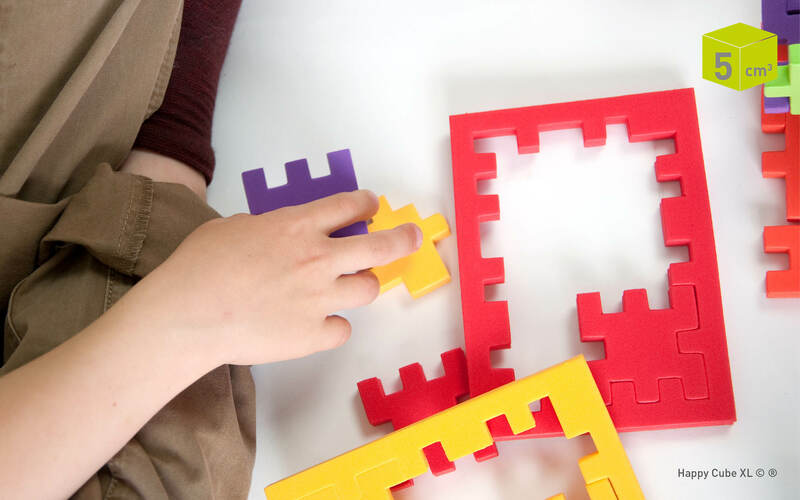 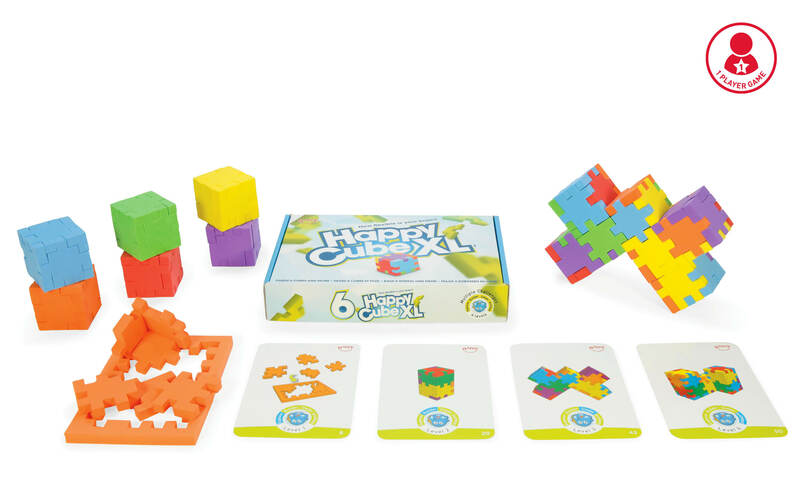 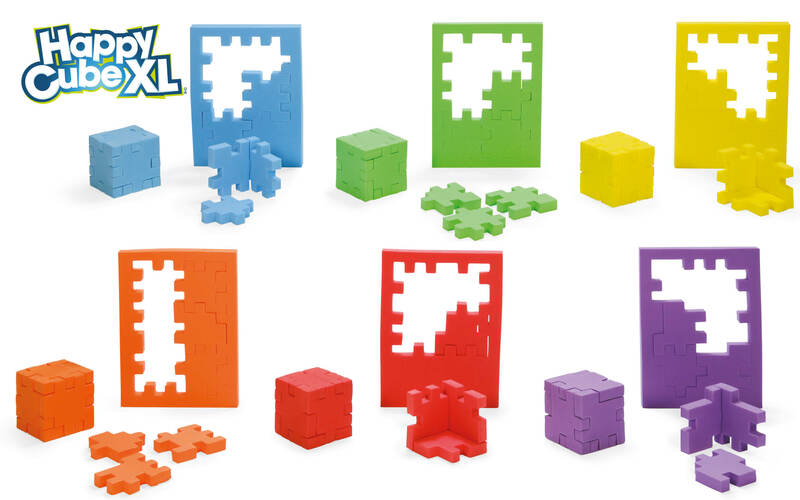 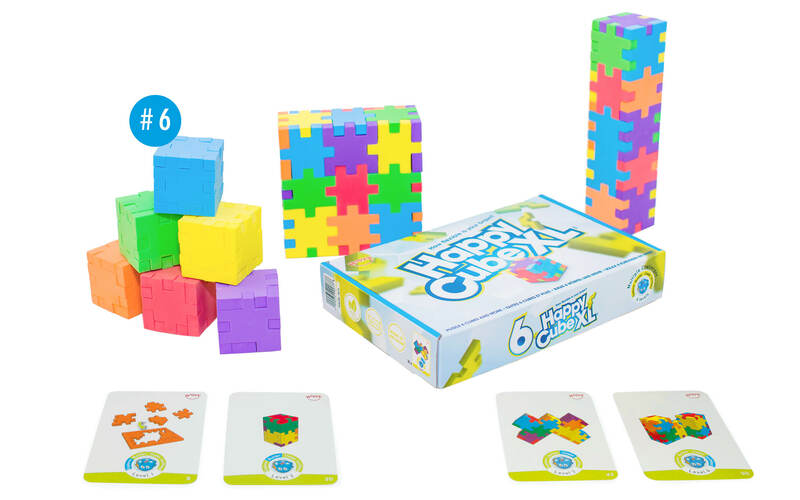 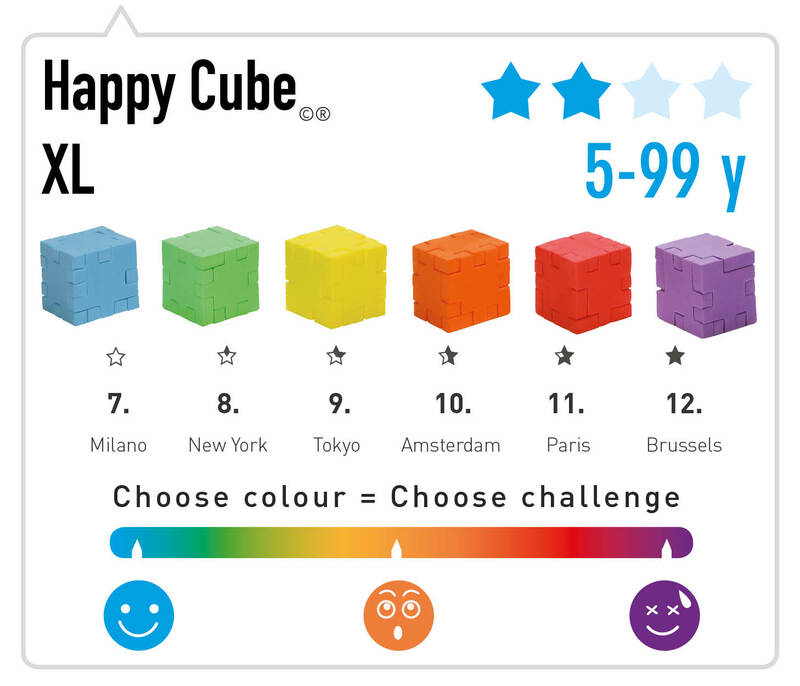 Happy Cube XL includes 6 different foam cube puzzles (5 cm cubes) and 32 game cards with 60 challenges in 4 levels. 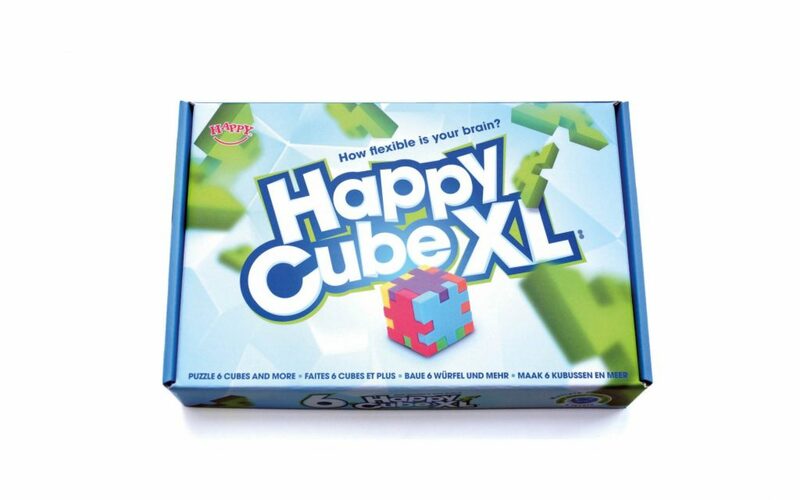 Happy Cube XL is a set of 6 extra large Happy Cubes (5 x 5 cm cubes). 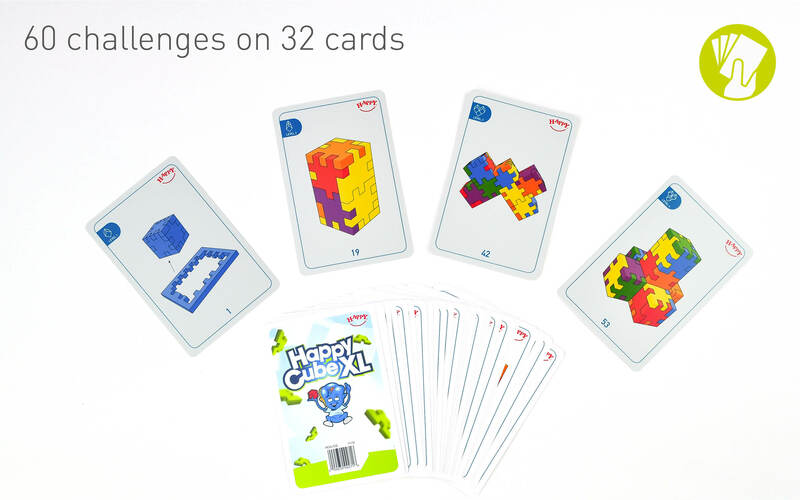 The box includes 32 cards targeting 60 challenges in 4 levels with increasingly difficulty (explorer, builder, creator and architect). 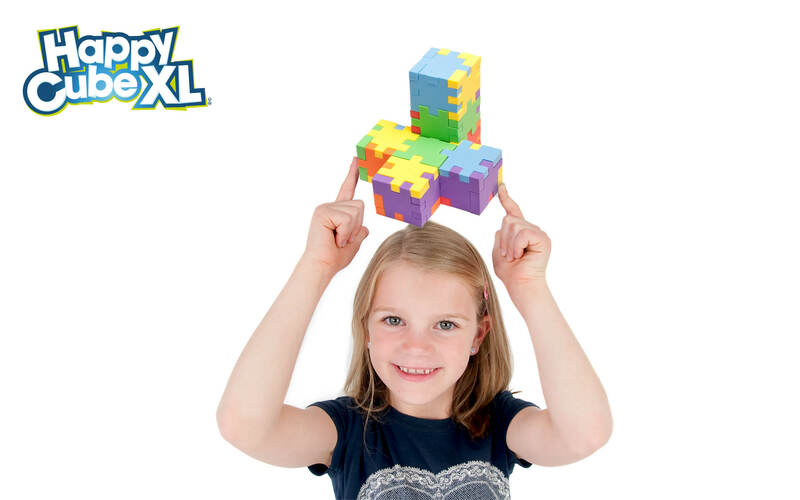 Get creative and astound friends and family with your impressive creations!